This apartment with terrace is located right in the city centre only 5 minutes walk from Centraal Station. This place features 1 bedroom, a fully equipped kitchen, a dining area and a cable flat-screen TV with cable channels. This apartment sleeps up to 2 people. Click Here to view more pics, information or to book a stay at this apartment. Situated in the heart of Amsterdam, just 100 yards from Rembrandtplein and a 2-minute walk from Flower Market, Amstel in the heart of Amsterdam offers accommodation with river views and free WiFi. The apartment is 200 yards from Museum of Bags and Purses Hendrikje. The apartment features a satellite flat-screen TV and 2 bedrooms. The kitchenette has a microwave and a fridge, as well as coffee machine. 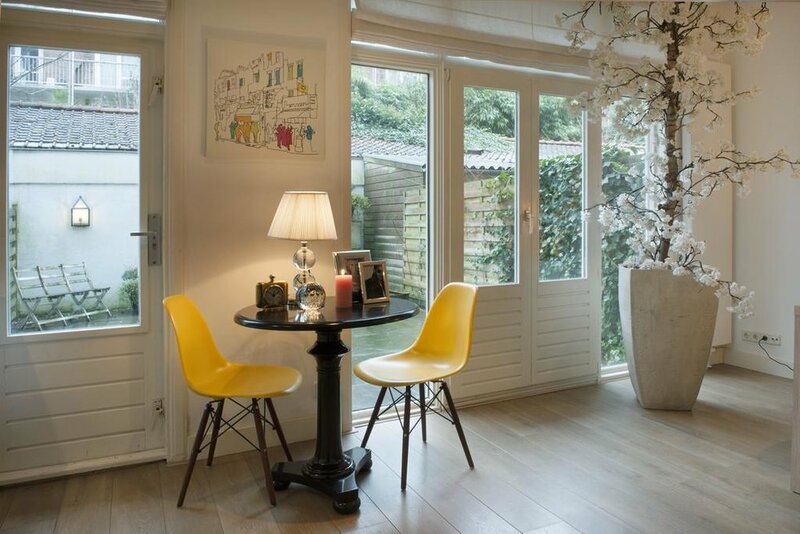 Featuring accommodation with a terrace, Prinsengracht Family Retreat is situated in Amsterdam. The accommodation has free WiFi throughout the property. This apartment is fitted with 2 bedrooms, a TV, and a kitchen with a microwave. Anne Frank House is a 6-minute walk from the apartment. Hobbemakade is located in Amsterdam. This self-catered apartment has a garden. This apartment is fitted with 1 bedroom, a kitchen, a TV, a seating area and a bathroom with a shower. Museum Square is a 6-minute walk from the apartment, while Van Gogh Museum is 650 yards away. This apartment is only a 5-minute walk from Dam Square, Dam Square Lux Retreat offers accommodation with a kitchen in Amsterdam. It has city views and free WiFi throughout the property. The apartment is equipped with a TV. This place is only a 3-minute walk from Anne Frank House and an 8-minute walk from Royal Palace Amsterdam, Apartment Prinsengracht is located in Amsterdam City Centre of Amsterdam. This property is a 9-minute walk from Dam Square and features free WiFi. The apartment has a flat-screen TV, a well-equipped kitchen with a dishwasher and an oven, and a bathroom with a hot tub and free toiletries. This place is perfect for couples. Set in the heart of Amsterdam located on Keizersgracht, just 200 yards from Museum of Bags and Purses Hendrikje, 5 Star Canal House Estate offers garden views and free WiFi. The Rembrandtplein is within 350 yards of the apartment and the Flower Market is around a 5-minute walk. This apartment has 2 bedrooms, a TV, and a kitchen with an oven. Perfect for couples. 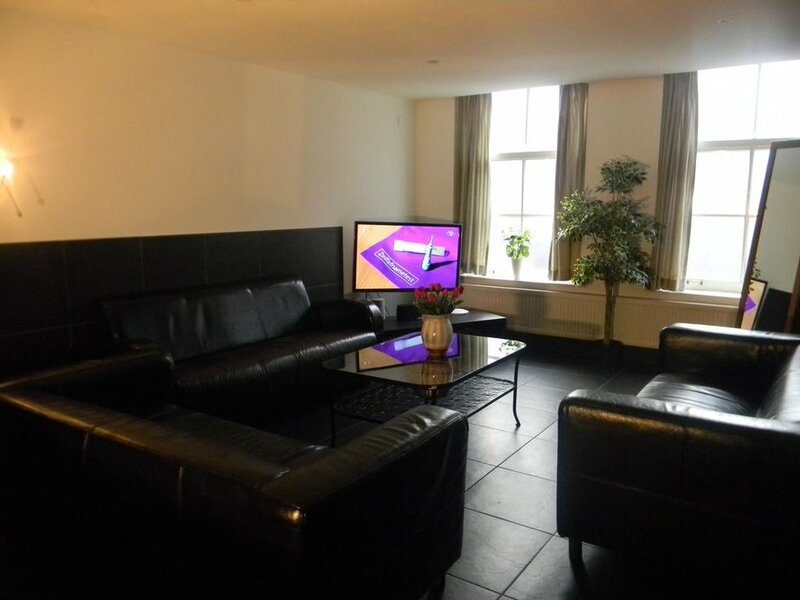 Located right in the heart of the city centre, only a few minutes walk from Dam Square. This place offers free WiFi, balcony and has 2 bedrooms. AmsterdamStay City Center Nieuwmarkt offers accommodation in 7 apartments in Amsterdam. Check out there full listing via the link below. All apartments have a patio and/or balcony area. There is also a kitchen in some of the units equipped with a dishwasher and oven. Guests can also relax in the shared lounge area. This apartments sleep from 4 to 7 people. Perfect for groups. Amsterdam Together is situated in the Amsterdam City Centre district of Amsterdam. The units come with a kitchen that includes a dishwasher, a private bathroom with free toiletries and a hair dryer, and a living room with a flat-screen TV with cable channels. An oven and microwave are also featured, as well as a coffee machine and a kettle. Dam Square is a 5-minute walk from the aparthotel. This apartments sleep up to 13 people. Perfect for large groups.